There really isn’t anything sweeter than a Christmas cookie! There may be cookies all year long, but cookies that make your heart smile are on a whole different level – especially when they are made with family and friends! 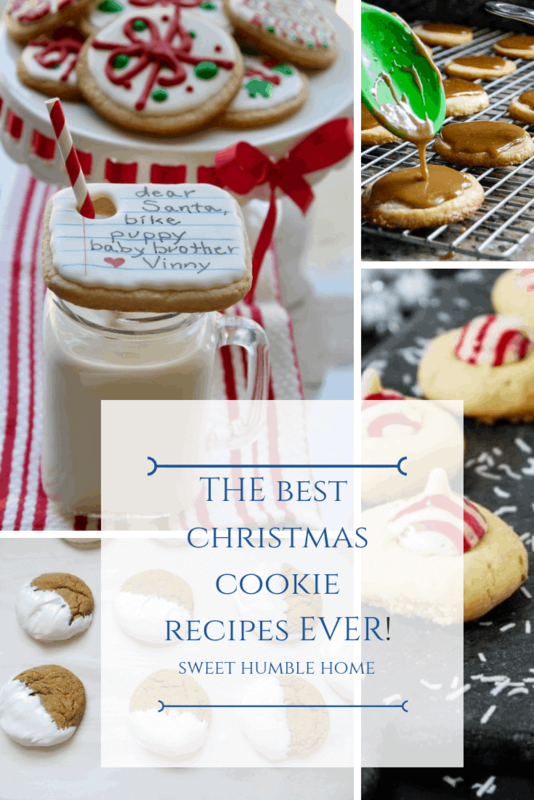 I’ve gathered the best Christmas cookie recipes from some of my favorite fellow bloggers! Enjoy – and let me know if you try any of them! We’re off to a Very Cookie Christmas! One of my best girlfriends visited lately – and we went to this absolutely adorable tea shop in town. 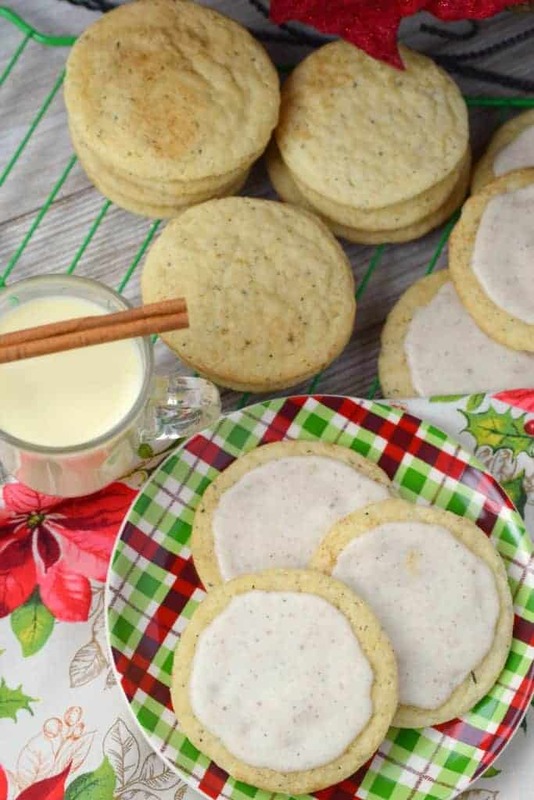 When Lori at Snacks & Sips shared this recipe for Frosted Chai Spiced Eggnog Cookies I was all over wanting to give it a try! I have warm Christmas memories flooding back already! Don’t they look delicious?? 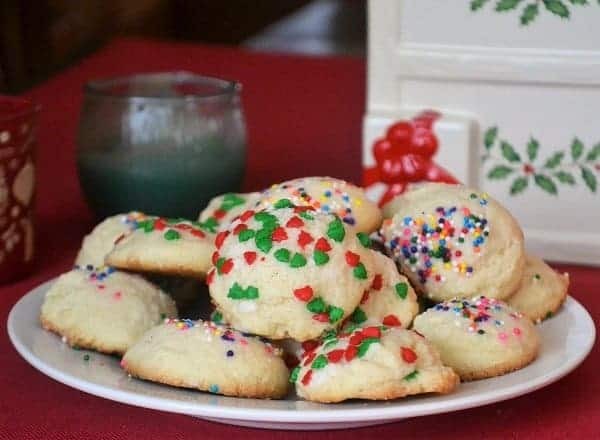 Lisa at Jersey Girl Cooks has shared her Christmas Sugar Cookie Drops recipe with all of us, and wow – they bring me back to making cookies with my mom at Christmas every year! They look just like the ones we used to make! Thanks, Lisa! 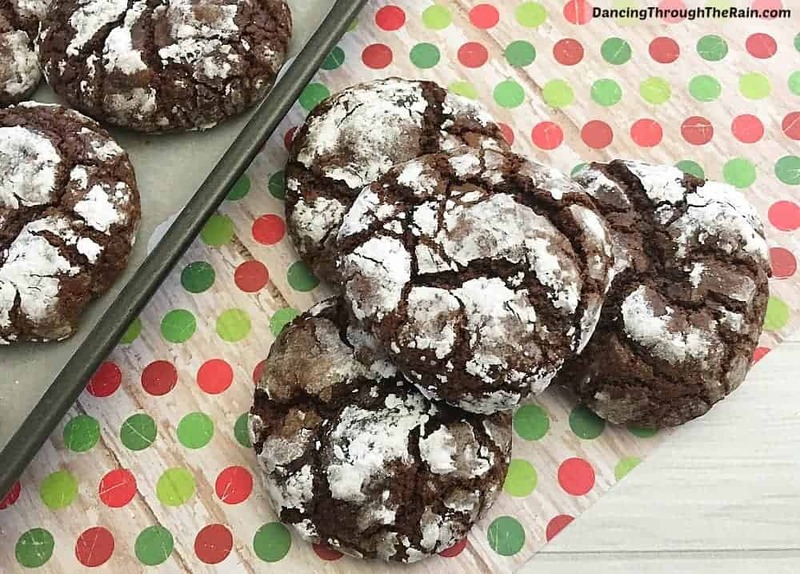 Ali at Dancing Through the Rain makes what look to be like the most amazing Chocolate Crinkle Cookies! Can you imagine dunking one of these delicious bites into a cup of tea? I certainly can! (I’m a dunker)! Thanks, Ali for sharing this recipe! Here’s a cookie I absolutely didn’t have a recipe for prior to this roundup – and I’m happy Valarie shared hers! 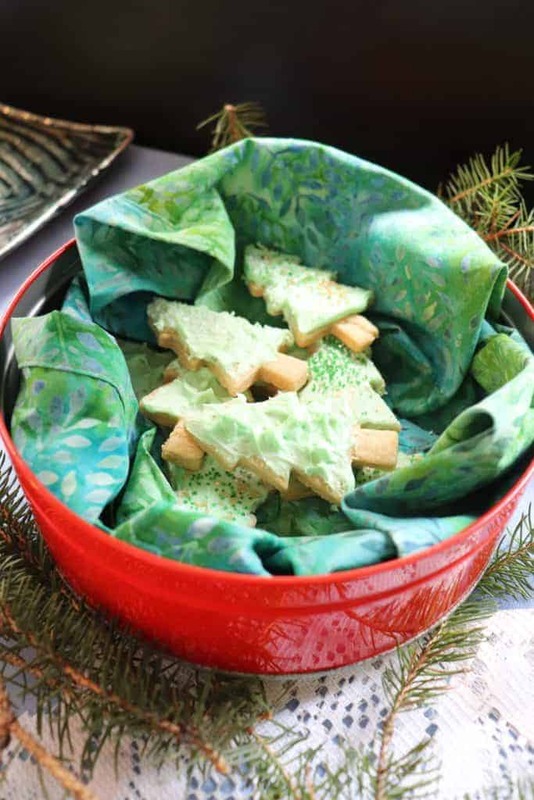 This recipe is for The Ultimate Vegan Christmas Cookie! If you’ve been looking for a vegan cookie recipe here it is! 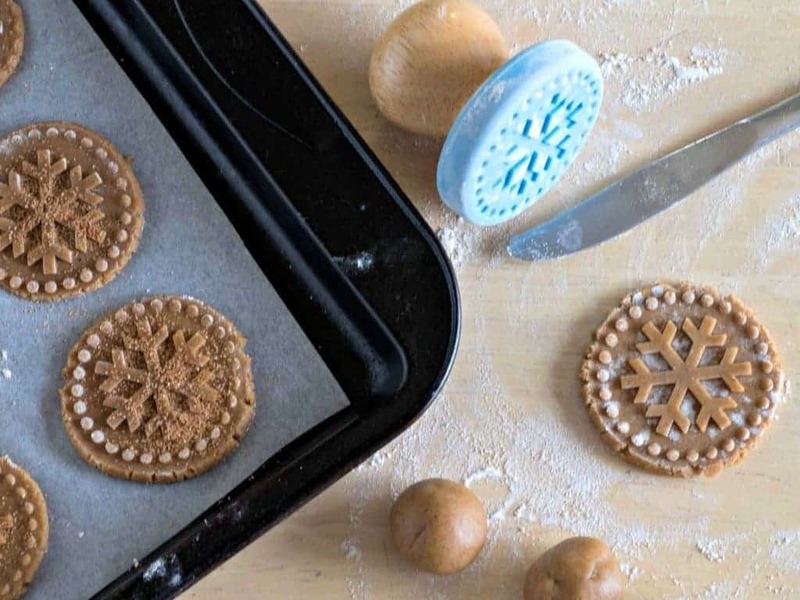 The Feast of St. Nicholas brings about this wonderful recipe for Dutch Windmill Cookies from Anne at Upstate Ramblings. She explains on her site that they are traditionally called – Speculoos. I’ve eaten them, but I’ve never made them! I think it’s time that I give them a try! Thanks, Anne! This Figgy Pudding Cookie Recipe comes to us from Nikki at Tikkido! Doesn’t just the name of the cookie make you want to start singing carols?? I do! 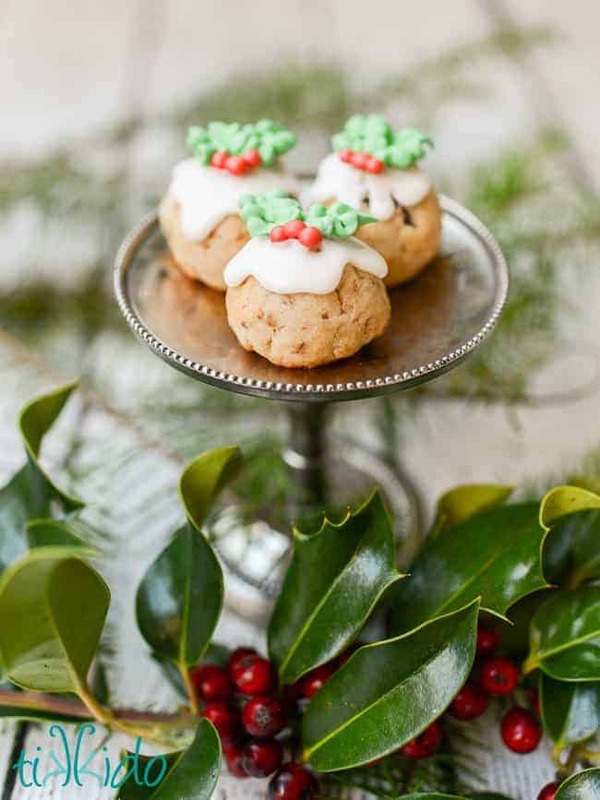 A spin on traditional figgy pudding – in a cookie! Just look at them – I mean, they really are adorable! 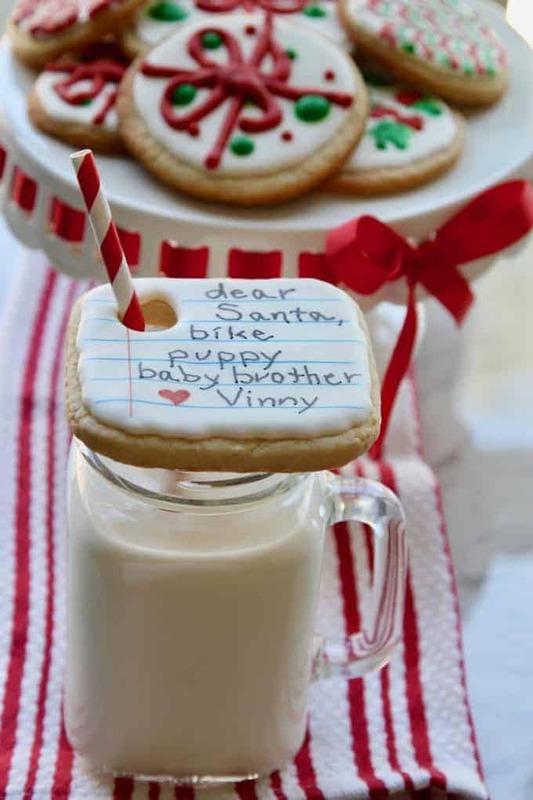 Corinne at Wondermom Wannabe shared her Eggnog Snickerdoodle Cookie Recipe with us, and I’m so happy she did! 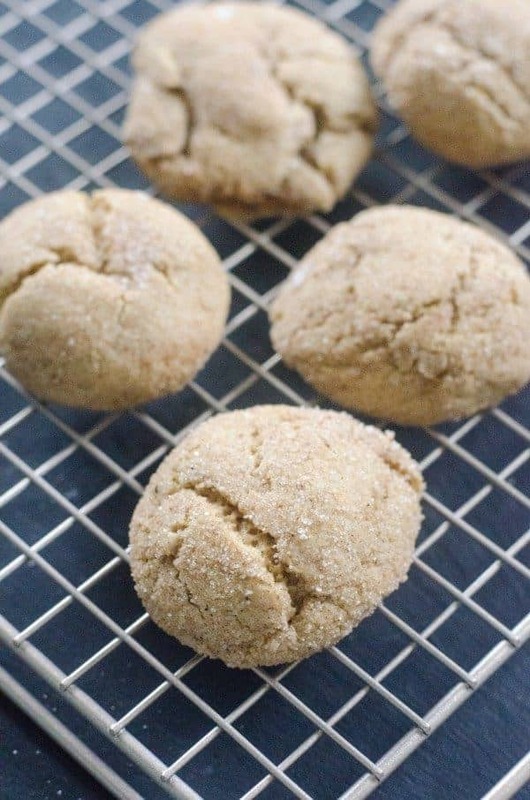 My niece, Amanda loves snickerdoodle cookies – I’ll have to make a batch of these when I head north for the holidays! Renee from Renee Nicole’s Kitchen has shared what I’m sure will be a favorite of mine in no time flat! 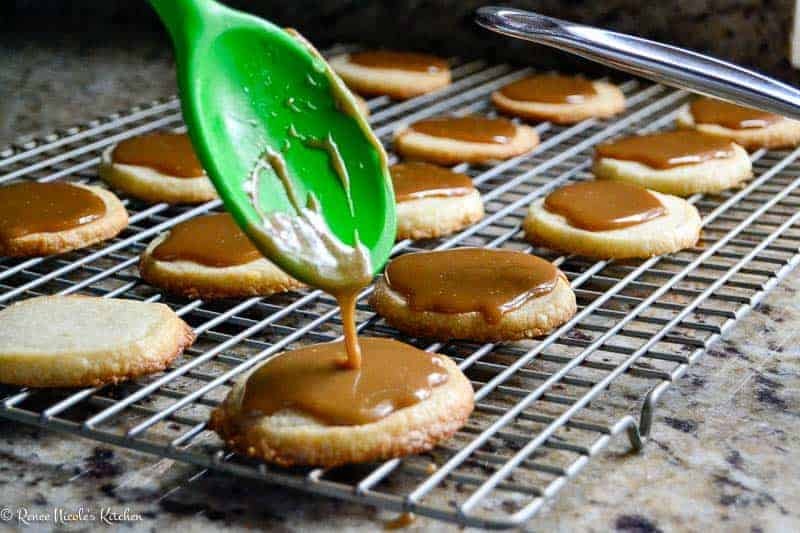 Her Salted Bourbon Caramel Shortbread cookies look amazing! I don’t know one person with kids who won’t want to try this! Lisa over at Delicious Table brings us the absolute cutest cookies I’ve ever seen – and that I can’t wait to make! 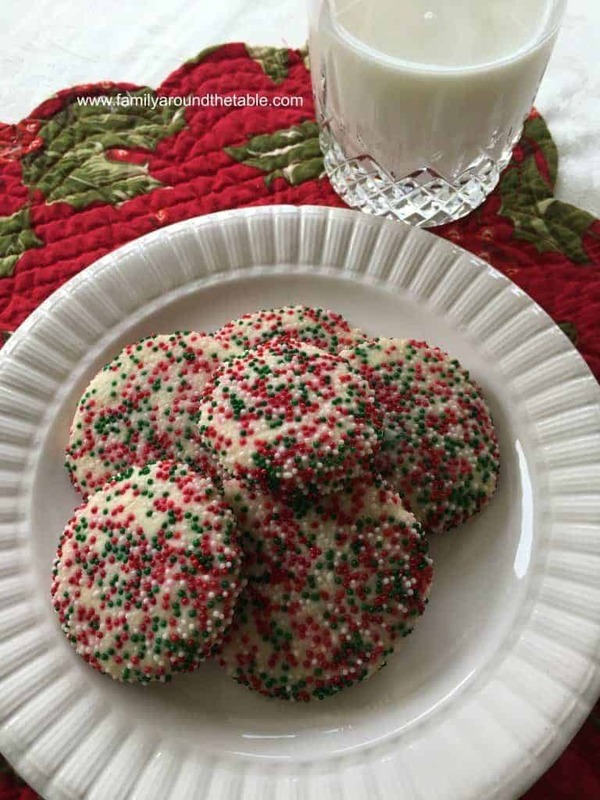 She has shared her Santa’s Cookies and Milk recipe. 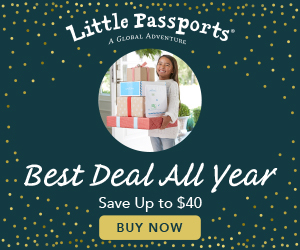 After a few days – your kids can actually write a note to Santa on these! Isn’t that fabulous?? Thanks, Lisa! 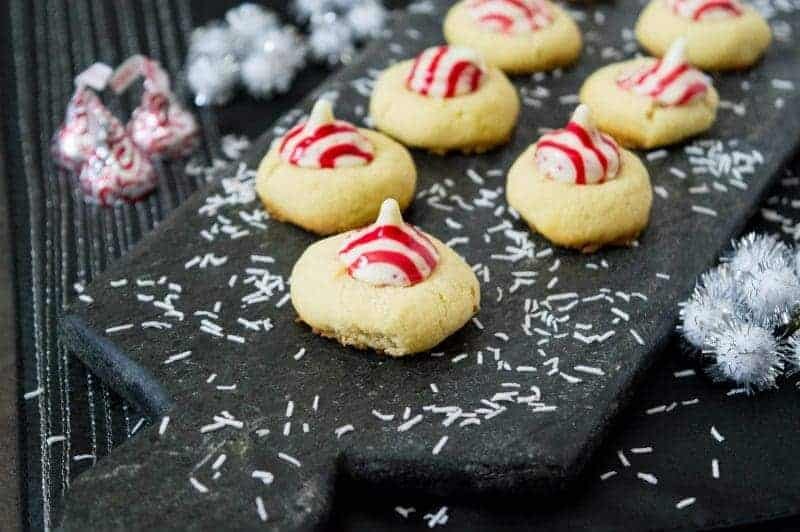 Crayons & Cravings’ Jaclyn is sharing her Candy Cane Kiss Cookies Recipe. Is there a more appropriate cookie for Christmas?? 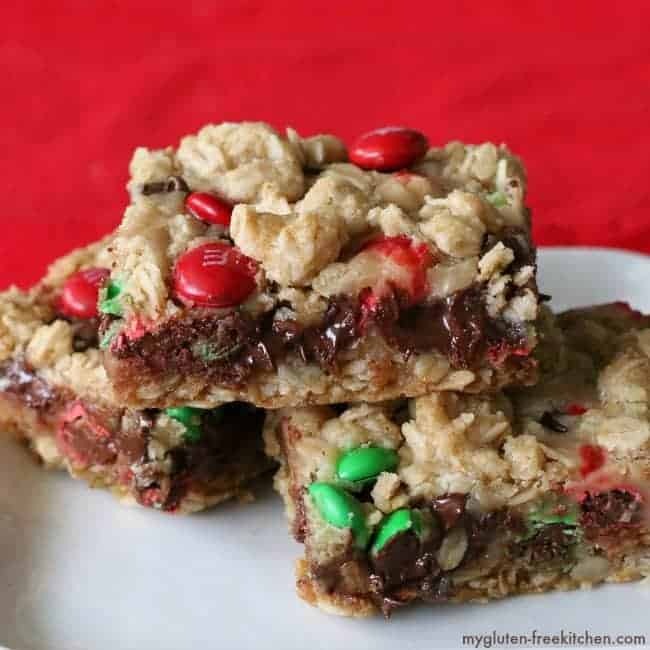 I am adding these to my cookie swap list for sure! Ellen from Family Around the Table (LOVE the name of her blog), gave us these Christmas Sprinkle Cookies to try! I know for sure I’m going to be up to my neck in cookies – but I can’t leave these out! I feel like a kid again just looking at them! Here’s a gluten free cookie! You’ll be prepared for anyone! Michelle from My Gluten Free Kitchen was kind enough to send along these cookie bars! Thank you, Michelle! There is always the possibility of someone with a gluten intolerance visiting during the holidays and I want to be prepared! Brandy at Teaspoon of Goodness has this Christmas cookie thing down! Her recipe for White Chocolate Dipped Gingersnaps has me warming up my oven! 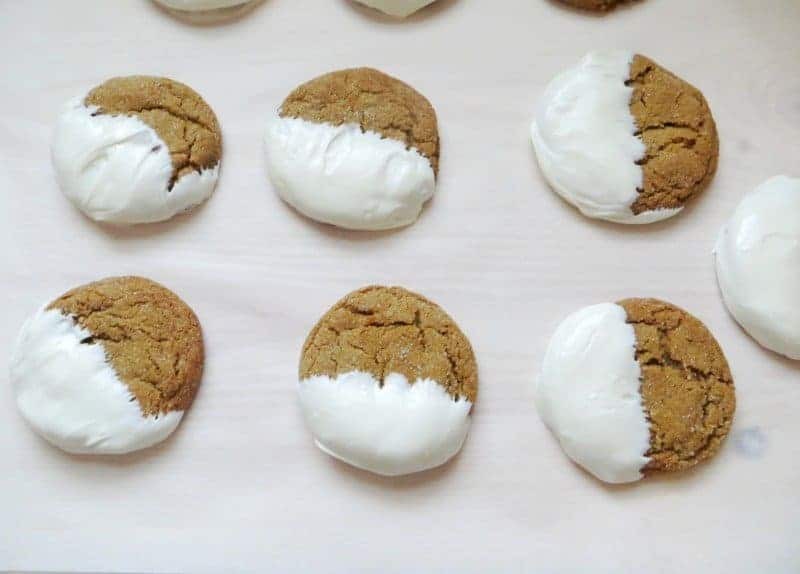 White chocolate and gingersnaps? My tummy is warming up just thinking about them. Thank you, Brandy for sharing!! There you have it! Twelve Days (plus one for good luck in the new year) of amazing cookies from some wonderful bloggers! If you haven’t tried my Oatmeal White Chocolate & Cranberry Cookies yet, add them to your recipe box and give them a try! I’m sure you’ll love them as well as my Peanut Butter Balls! TOO much sweetness in one month! I need to start earlier next year!